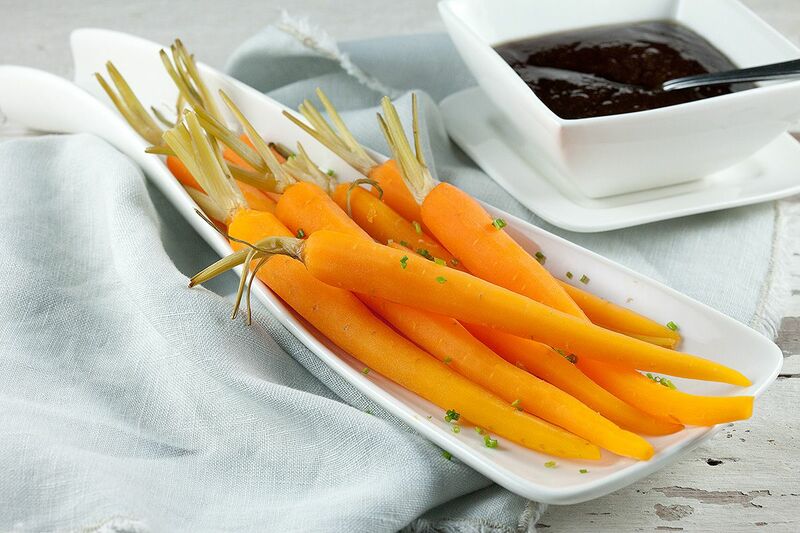 Steaming carrots preserves all of the flavors and vitamins in carrots. 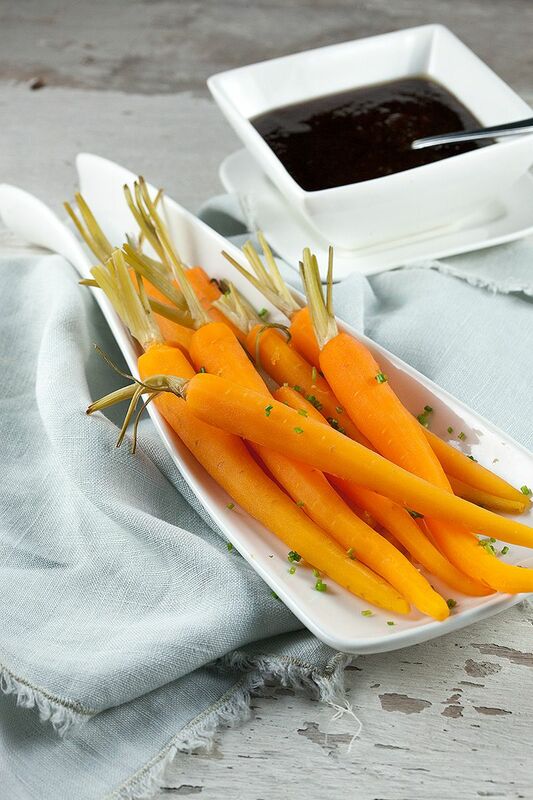 Steamed carrots served with a sweet and bitter caramel sauce is ready in an hour. Fresh parsley leaves or fresh chives, we went with chives eventually! 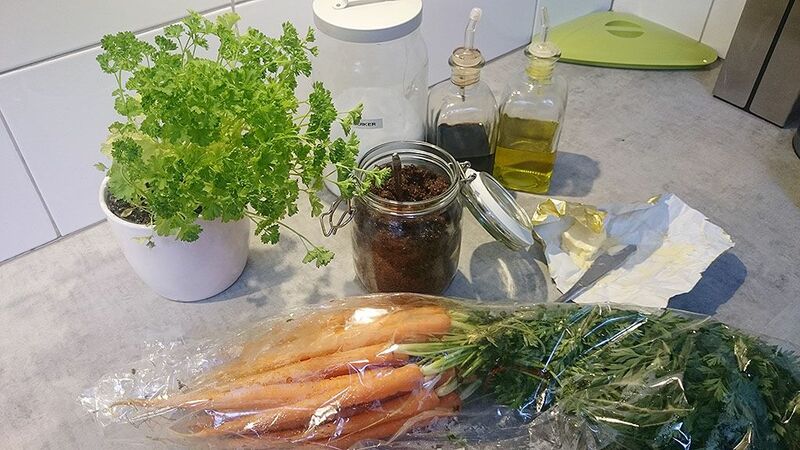 CHOP off most of the leaves from the carrots. 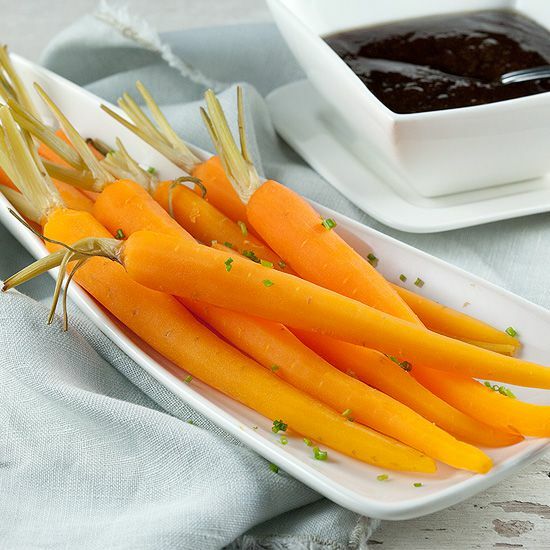 CLEAN and peel the carrots using a potato peeler, carefully slice the top branches from the carrots in such a way that they are 4-5 cm long. CLEAN the bottom parts of the carrot stem using a pairing knife. FILL a layer of water into the large pan, put on high heat and let come to a boil. PLACE the sieve into the pan, then transfer the carrots into the sieve. PLACE the lid on the pan and steam the carrots for about an hour, depending on the thickness of the carrot. It’s a slow process, but the end result is having super tender and delicious steamed carrots! MEANWHILE prepare the sauce, which is very easy to make. ADD butter and olive oil in a small saucepan and mix together. Place the small saucepan on medium-low heat. When the butter has melted, add in white and brown sugar and whisk until combined. WHEN the sugar has become thickened, add in balsamic vinegar. Hold your breath for a minute, because hot balsamic vinegar has a very strong smell. COMBINE by whisking. RE-HEAT the sauce before serving the steamed carrots. SERVE with finely chopped parsley or chives, enjoy!